The market of anti-aging products has been targeting a bigger audience regarding age ranges or when it comes to availability and accessibility. 20-year-olds right now know the importance of applying an anti-aging eye cream, and the rule of “the earlier, the better”. We can classify anti-aging products into two major categories, one for preventing wrinkles and stopping the aging train. The other target older people with its age rewind claims of reducing wrinkles and bringing back a youthful look. The future of anti-aging products is going to be very interesting, yet, very pricey as new technologies are being revealed. While some people would prefer to age naturally without the obsession to make the youthful look stays longer, many of us want to still have porcelain skin when we are fifty years old. So what is the new shape of anti-aging products? Because everyone started reading more and educating themselves on the subject of skincare and skincare routines, one issue seemed to rise to the surface. The harmful effects of using products with harsh chemicals in them couldn’t be neglected anymore. Since then, a lot of people decided to get back to nature when it comes to their skincare and haircare products. Small indie brands were the lead on this trend, but in the future, it seems that larger famous brands are planning to get on this natural train. Researches are already in progress to find new natural ingredients that have the capability to fight aging and stop the clock. 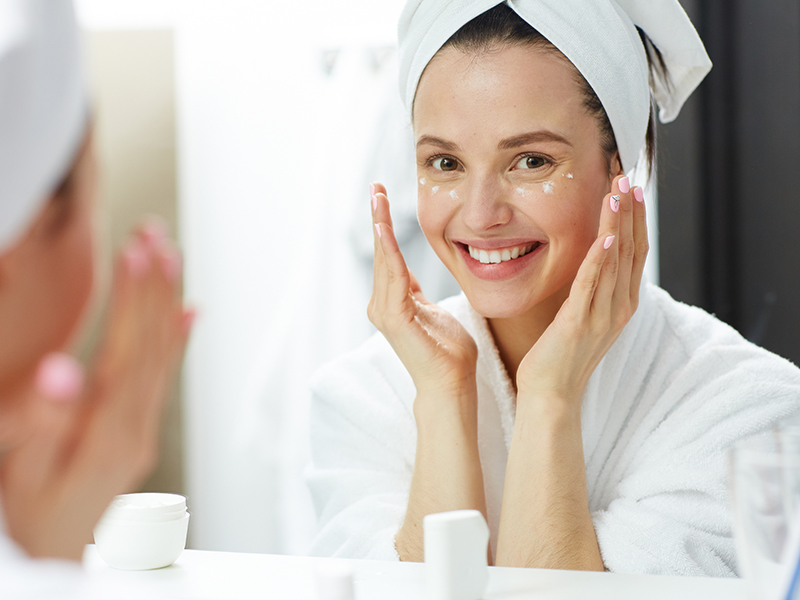 Retinoid, for example, is known to be pure magic when it comes to wrinkles, acne, and spots on the skin, but it still has many unpleasant side effects. Who didn’t wish for a natural alternative to Retinol that can give all the benefits and none of the side effects? That’s when Bakuchiol came in. The all-natural collection was a refreshing change, and a relief as you don’t have to worry about all the side effects that might occur with chemical based products. Other than the awaited new anti-aging products, many new technologies are already being used as an alternative for classic plastic surgeries. From laser and fractional laser procedures, personal LED anti-aging devices, to skin treatments such as derma rolling, chemical peels, and microdermabrasion. Other alternatives that are being evolved this year are going to be injectables like derma fillers, liquid face-lifting, and muscle relaxers. It’s impossible to expect that one moisturizing cream that you apply once every moon eclipse is going to help you get the results you dream of. Order and products matter when it comes to building your skincare routine. Start with a suitable cleanser that’s not too harsh and too soft, followed by a toner, moisturizer, sunblock, and then you can add any product you wish to use after. If you are using oils, make sure it’s the last step. The oils tend to lock your moisturizer, but it doesn’t allow the skin to absorb anything applied on top of them. Many of us already know the importance of following a skincare regime that suits the type of our skin, for those who don’t, it’s never too late to start.